Webster University's cybersecurity program was covered in the Orange County Business Journal and the Orange County Register as it expands to the Irvine, California, campus this fall. ... BFA Graphic Design alumna Ashley Webelhuth was profiled as the “Designer of the Week” in the major design periodical, PRINT Magazine. ... Conservatory alumna Courtney (Dempsey) Burkett and the Detroit Public Theatre she co-founded was featured in American Theatre Magazine. 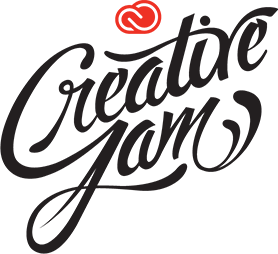 Graphic Design students in Webster's Leigh Gerdine College of Fine Arts attended the annual AIGA St. Louis Student Design Conference this past weekend. 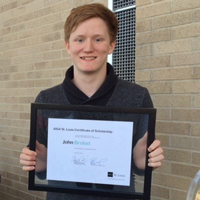 Senior graphic design student John Brobst received the AIGA STL Student Scholarship Award. This is the second year in a row that a Webster graphic design student has won this award.